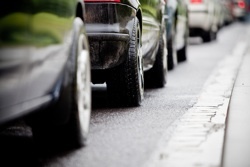 Improper Lane Usage | Chicago Improper Lane Usage Ticket Lawyer The Davis Law Group, P.C. Contact Lake County, Illinois Unsafe Lane Change Ticket Lawyer The Davis Law Group, P.C. In Illinois, Improper Lane Usage is governed by 625 ILCS 5/11-711 (Driving on Roadways Laned for Traffic). The law in Illinois requires that a vehicle is driven as nearly as practicable entirely within a single lane. In addition, the driver must not move from the lane until they have first ascertained that they can do so safely. Many times, drivers charged with Driving Under the Influence of Alcohol or those involved in a traffic accident are cited for Improper Lane Usage. If you have received an Illinois traffic ticket for Improper Lane Usage, feel free to contact our lawyers to discuss the specific events surrounding your alleged violation. Avoiding a conviction on your driving record is our top prior and, oftentimes, these violations can be contested in court. Call the attorneys at The Davis Law Group, P.C. to review your case.